Construction is well underway for the BNSF Phase II Office Building directly East of the Original BNSF Office Building off of South 48th Street in Springdale, AR. CR Crawford Construction is the Construction Manager. The building will be approximately 27,465 SF and be constructed of similar materials as the existing building including Tilt-up concrete wall panels. The interior spaces will also be similar with open office areas for Operations staff workstations as well as Executive Offices, Collaboration spaces, Training, and Lounge and Break room spaces. 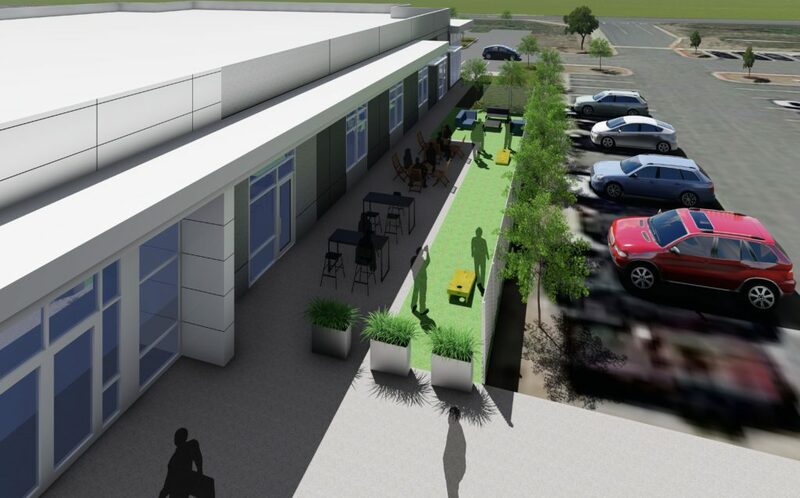 The exterior will include a screened patio area located directly off of the Break room. The slab has been poured and tilt-up concrete panels are currently being formed and will be poured soon and erected into place. We look forward to giving updates with construction photos in the future. The project is expected to be completed in late 2019.